Omaha Holdem poker is a form of community card poker very similar to Texas Holdem. In Omaha poker, players are dealt four hole cards, which are their own private cards. Five community cards are also dealt. These cards sit face up on the board. In all Omaha games, when it is time to play a hand, it must be made from exactly three community cards in combination with exactly two hole cards. It is this rule that distinguishes Omaha Holdem from other poker forms. There are many Omaha variants, some of which are detailed below, and each option tweaks the rules a little bit. These rules are correct for a standard game of Omaha Holdem poker and work as a good general guideline for all forms. As in all poker games, Omaha Holdem begins with the big blind and the small blind. Once these have been bet, each player is dealt four hole cards that are kept hidden from other players. The player immediately following the “big blind” begins betting and the round proceeds clockwise from there. 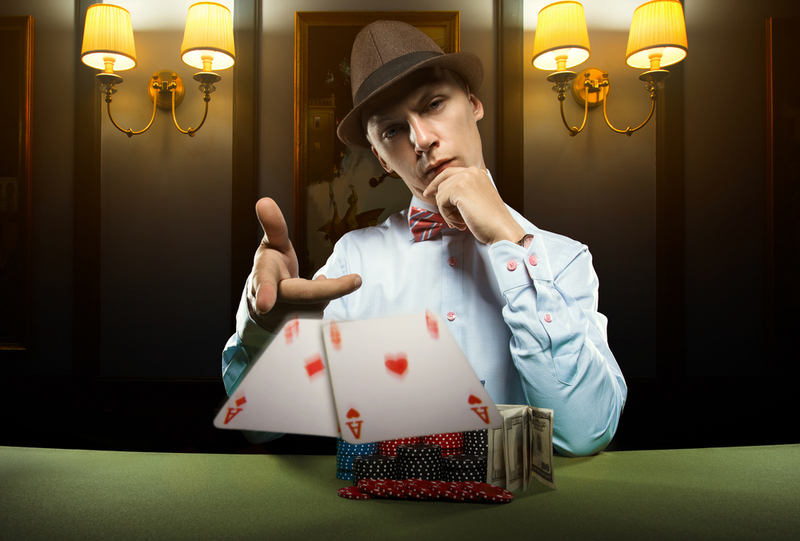 Each round, players can choose to fold, call, or raise. The round proceeds until all active players have placed an equal bet into the pot. It is then that the first three community cards are dealt onto the board face up, a process known as “the flop”. Another round of betting ensues following the flop. After this, the fourth card, or the “turn” card, is dealt. Another round of betting follows, after which the fifth card, or “river” card, is dealt to the board. Once all the community cards are dealt, and all rounds of betting are complete, it is time for the showdown, unless only one active player remains, in which case they win automatically. During the showdown, players must construct their hands from exactly two of their own cards in combination with exactly three cards from the board. The player with the strongest hand wins. In the case of equal hands, the pot is split equally between winning players. Keep it simple! It can be tempting to get distracted aiming for a showy hand, but in Omaha poker, it is especially important to remain grounded. Never bet outside of your budget. Remember that an Omaha game is all about the post-flop play. Don’t get overconfident with a good pre-flop hand, as it may not play out further down the line. Stay calm, and embrace the natural swings of the game. Omaha has a very different pace to other poker games and can be very “swingy”. If you can’t stay calm despite this, you won’t be playing your best. There are three main ways a game of Omaha handles bets. In pot limit Omaha poker, players can bet limit is the amount of money already in the pot. In no limit Omaha poker, players can bet as much as they like provided they have the chips for it. Then there’s fixed limit Omaha poker, where a limit is imposed on each game and each individual round, and bets cannot exceed this limit. There are other, more “fun” variations too, such as Omaha hi/lo, where the pot is split between the winning hand and the hand of the lowest value. This dramatically changes strategies and the game’s feel, and can make things very interesting. Five card Omaha and six card Omaha are both variations that play exactly like a standard Omaha game except the player receives a different number of hole cards at the beginning of the game. They still have to build their hand using only two of their hole cards, but the additional hand possibilities can make play very interesting. Another very well-known variant of Omaha is Courchevel, which originated in France but is gaining in popularity across Europe. In Courchevel, one of the community cards is dealt to the board before the first round of betting begins. Ultimately there are still five community cards in total, but the first community card being played so early in the game can dramatically change strategies. Keep your poker rolling on the right track with Freeroll Tournaments! Loose passive or tight passive – What is your poker playing style? 5-Card Draw Poker Rules Are Simple, But What About Strategy?